Home At Last Humane Society’s “Pints For Pups” will be held at the Clocktower on Friday, September 14th from 6 to 9 p.m. Live music by the Wasco Brothers and raffle items. Come on down, raise a glass and support the animal shelter. Clocktower, 311 Union St., The Dalles. Tony ‘n Tina’s Wedding is being presented in the sanctuary and reception room at Riverside Community Church in Hood River. Performances begin at 6:30 PM tonight and tomorrow. Tickets include a catered reception dinner and are $35 adults, $30 for CGOA Members, $25 for Youth (ages 10-17) and $10 for kids under 10. Looking for something new and different to do? Combine a history tour with a Poker Run! The Wasco County Historical Society “Poker Run” is scheduled for Saturday, September 15, 2018. Registration at Sorosis Park from 7 a.m.to 11 a.m. All motorized vehicles are welcome and the tour is on all paved roads. Poker hands are $10.00. There will be a $5.00 mileage guess:50/50. Prizes will be awarded at 5 p.m. at Sorosis Park. The route includes Boyd, Dufur,Friend,Tygh Valley,Wamic, Maupin, Shaniko, White River Falls State Park and points in-between! You will be met by Historical Society members at each stop to give you bits of history. The American Red Cross and NW Natural are teaming up during National Preparedness Month to help families prepare for a natural disaster or other emergency. Learn about preparedness while taking part in safety demonstrations, kids’ activities and more from the more than 20 agencies represented at the free Get Ready The Dalles event at Mid-Columbia Fire and Rescue main station, 1400 West Eigth Street The Dalles Saturday 10 am to 2 pm the first 100 families at the event will also receive a small emergency kit. KLASAC (Klickitat Lyle Against Substance Coalition) will be having their 5 Year Celebration on Saturday at noon. It will be held at Lyle School in the parking lot. Free BBQ and fun for everyone. Everyone is welcome. The fourth annual Music Festival of the Gorge (MFOG) on Saturday, Sept. 15, is a free, family-friendly concert series at the Hood River Waterfront Park Amphitheater benefiting music programs in Hood River area schools. Produced in partnership with the Matt Klee Scholarship Fund and Arts in Education of the Gorge, funds raised during MFOG have resulted in donations of more than $19,000 to Hood River County Schools. Klee was a musician, biking trails organizer and education advocate who died in 2014. Each year, MFOG features a fresh lineup of Portland-Gorge area bands, covering an array of musical genres. Live performances begin at noon and continue throughout the day. Portland-based soul-rock band Dirty Revival will headline the main stage at the Waterfront Park from 8-10 p.m. and after-hours music will continue 10 p.m. to midnight at three Hood River venues: Volcanic Bottle Shoppe, Trillium Café and Slopeswell Cidery. Food and beverages from Big Man Rotisserie and Empanadas Maria Elba will be available for purchase at the waterfront. 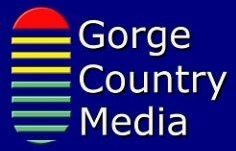 There will also be kid-friendly activities hosted by Arts in Education of the Gorge to go with an afternoon of free musical entertainment in the heart of the Gorge. Recovery Gathering Potluck BBQ 4 pm to 5:30 at Ekone Park in Goldendale Musical guests: Gabrielle Casey, Dr. Jim Ogden, and others. Baseball, Frisbee, horseshoe pitching. DJ music provided by Ric Frye of Ekone Creative Services. It’s the 9th Annual Black Tie and Blue Jeans dinner and auction benefit for Klickitat Valley Health at The Goldendale Grange Saturday Social Hour, Auction, and Spirit Table preview appetizers, local wine and beer, 5 p.m. and 3 course surf and turf dinner Dinner at 6:30 p.m. . This year benefits the purchase of new surgical equipment and patient equipment for nursing and transitional care. The Wasco United Methodist Church invites you to join us on September 16, 2018 for our Rally Sunday. This is our annual effort to reach out to the entire community and personally invite each of you to come see what God has in store for you at the Wasco United Methodist Church. We have a Sunday School for children ages 3 to 20 from 10:30 to noon. Snacks are provided for the children every Sunday. The regular worship service led by Pastor Bob Reasoner runs from 11:00 to noon. We are excited to have Natasha Sandquist in charge of our nursery this year and James Alley as our new Worship leader! We hope to see all of you on “Rally Sunday,” September 16, 2018 to get the new year kicked of.